A winter wonderland of sparkling snowy hills and trees on the interior and a light blue with snow flakes and silver glitter dots on the exterior. The base has a delicate sparkling swirl design. All paint is on the exterior of the glass and stops approximately one half inch from the rim. These are 5 oz. 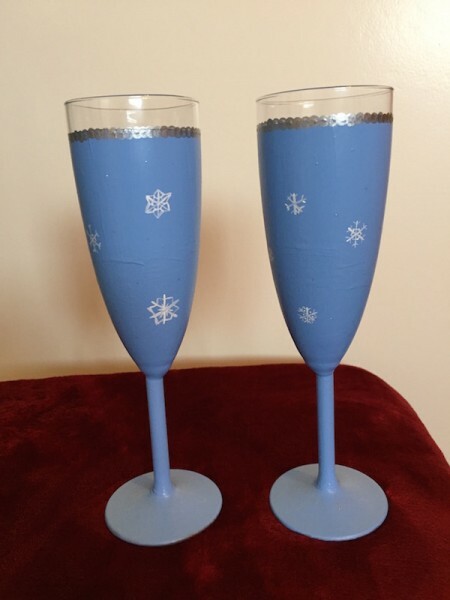 glasses sold as a set of two. Handwashing is recommended.